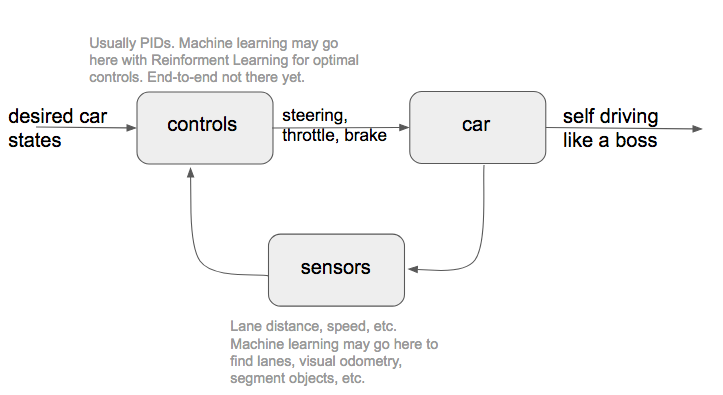 How do self driving cars drive? In the article, author Eder Santana has brought out the principles on how the self-driving cars work. The author has mentioned that self-driving car is much like a 4 wheeled robot that follows a path. The path can be calculated globally, like going to place B from A, going forward without diverting from the lane. So, in the process car should also adapt is speed to avoid hitting the objects and plans its path to avoid obstacles. The author has also mentioned problems in developing self-driving technology, finding the driver lanes and drivable paths.